Not matter what time of year it is, I will always love pancakes for breakfast. I have pancakes at least once a week and I try to make them as nutritious as possible. 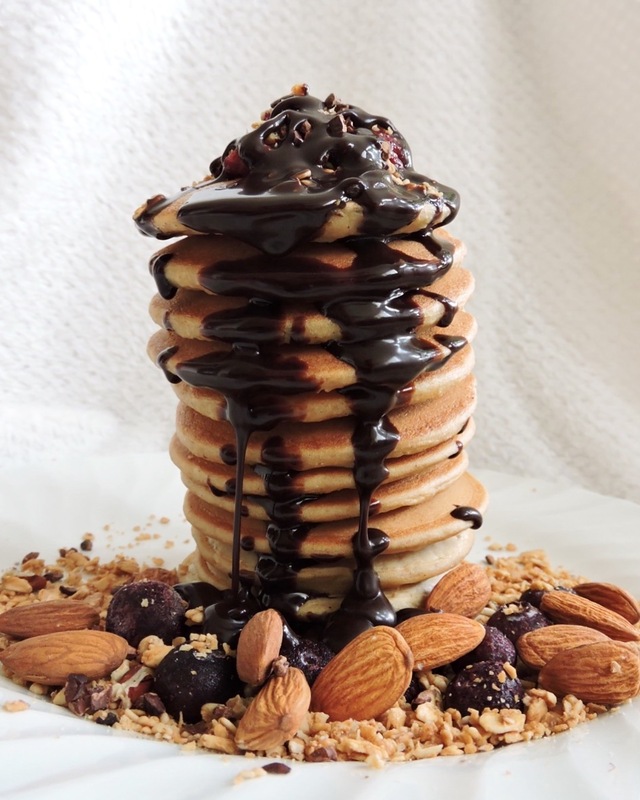 You can find my recipe here, and this time I had my pancakes with granola, blueberries, almonds, cacao nibs and chocolate sauce. Not going to lie, I’m pretty proud with how this stack turned out! I have a new lunch obsessions and it’s called chana masala. Chana masala has always been my go-to order when I got to an Indian restaurant, but I had never made it myself before. Turns out, it’s pretty easy. 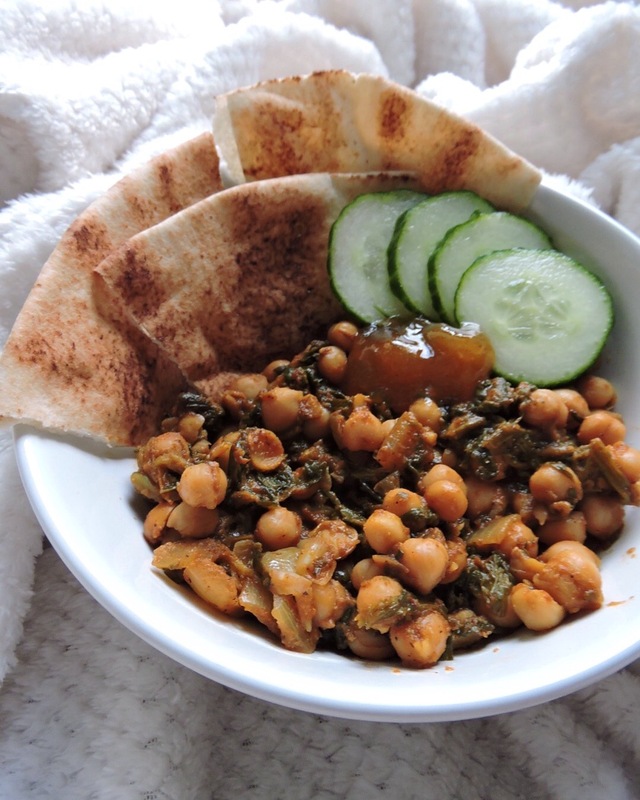 I added spinach to this batch to make it extra healthy and had it with some pita bread, mango chutney and cucumber. I actually made a big pot of chana masala at the start of the week and had it for several lunches throughout the week; it works great as a meal prep food. I’ve found that because I’ve been exercising more lately (read all about me starting my fitness journey here) I tend to get hungry more often. So usually around 4pm my tummy starts rumbling and that’s when I start snacking. 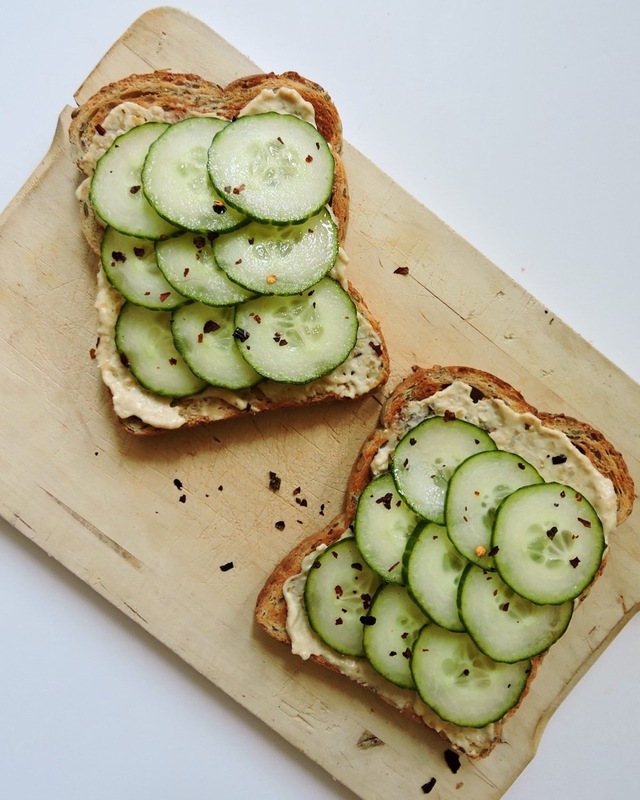 This time I went for toast with hummus and cucumber, which is filling and delicious. I’m not going to lie; some days I reach for chocolate when I’m in a snacky mood but hey, it’s all about balance. It has taken me ages to perfect my couscous recipe but I think I’ve finally done it. In the past it has always turned out too dry but I’m finally happy with my recipe, I plan to share it soon! 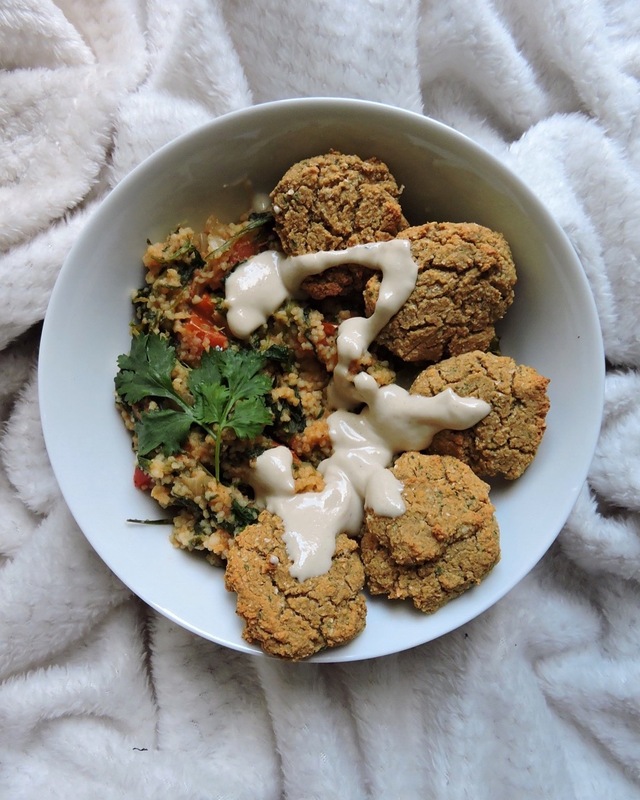 I had it for dinner with falafel and tahini sauce; a perfect cosy meal. And that’s it! Let me know what foods you’re currently craving in the comments. And if you want to see more of what I eat on a daily basis, you can follow my Instagram account.